Where we'll play with the next Nexus? Update: The Wall Street Journal reported Monday that Google is developing plans to launch retail stores in the U.S. Speaking with people "familiar with the matter," the Journal said the stores will likely sell Google-made hardware, but there's no word on where or when these locations will open. Google may not even launch the locales this year. Google is reportedly taking a "build it and they will buy" approach to its products as a new rumor has the search engine giant and Android progenitor building its own standalone retail locations in the U.S. by year's end. An "extremely reliable source" speaking with 9to5Google told the site that the first of Google's new stores will be ready for business by holiday season, 2013. The first stores will be in major metropolitan areas with the express purpose of getting products like the next Google Nexus, Chrome and, most importantly, upcoming products into customers' hands. Already Google runs Chrome store-within-store models at Best Buys and 50 PCWorld/Dixon's in the U.K., but the new stores will reportedly be completely independent with sales flowing directly from Google to customer. While having customers see, touch and interact with devices as a means to a sale is a retail model Apple perfected, it sounds like Google's inspiration for its own stores actually stemmed from Google Glass. The product, though oft-talked about, would need to be met first hand by the public. What better way to do that than through conveniently located shops? Furthermore, the stores would also provide a platform for other projects like driverless cars and mini-drone delivery systems to meet potential buyers. Last year, an analyst told TechRadar that retail locations were a distinct possibility for Google in 2014-2015. Looks like Google may be moving ahead with its plans on a faster timetable. The Nexus 4 would have a fine time selling at a Google store where customers could ask clerks point blank if the handset was in stock instead of learning from a "Sold Out" Google Play message. Until we maybe one day get standalone shops, Google took some of the burden of tracking the uber-popular handset down for us by launching a Nexus 4 finder Thursday. It's straightforward enough: type in your address and Google will find retail locations that have the handset within five, 10, 20 and 50 miles of your location. The idea is to check availability before heading in, though you'll actually have to phone ahead. T-Mobile is the only official U.S. retailer at the moment, so you'll be seeing all T-Mo options when you search. 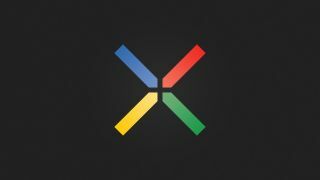 A company rep told us this wasn't the first time Google's created such a tool: Mountain View made one for the Nexus 7 that's still up and running.